If you’re searching for an authentic taste of traditional Mexico, but with all the trappings of a well-connected and English-speaker-friendly holiday destination, then San Miguel de Allende in Guanajuato might just be for you. Its colonial, colorful charm is undeniable, and its historic center is a delight. 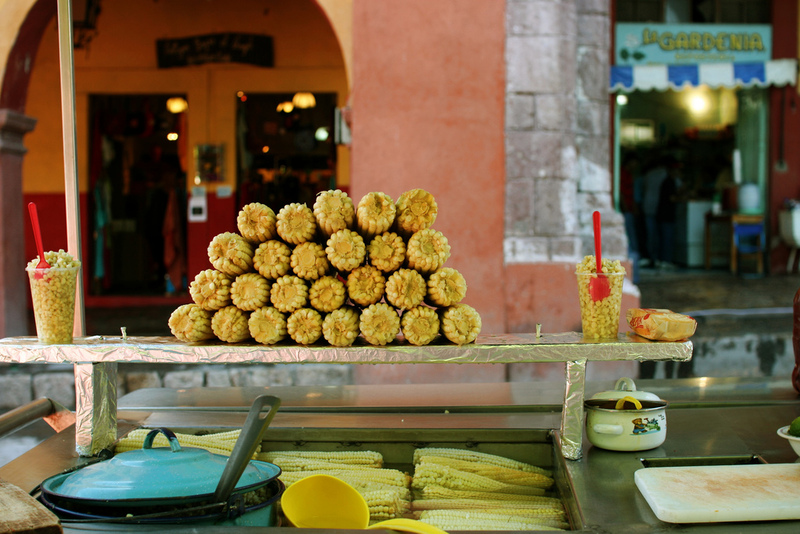 However, if you need that extra push, check out our guide to the best traditional Mexican restaurants in San Miguel. La Sirena Gorda (The Fat Mermaid), is a great traditional seafood restaurant and bar to pop into if you’re looking for a quick lunch. Somewhat popularized of late among a more touristy crowd, the food still provides a great introduction to traditional Mexican fare, and the interesting Fat Mermaid paintings on the walls are eye-catching to say the least. Chow down on fish tacos and other fresh seafood offerings. We wholeheartedly recommend giving their excellent ginger margaritas a try, too. Soaking up the views of a city has never been as delicious. La Posadita is a recommendable option not just because of its traditional Mexican dishes; think enchiladas drizzled in a chocolatey yet spicy mole sauce and chiles rellenos that have received rave reviews. It is also a must visit for its beautiful view over the historic center of San Miguel. Be certain to reserve a table on the terrace in order to truly take advantage of this restaurant’s selling point, and don’t be surprised when the prices are perhaps higher than you’re used to. Great for a romantic evening. Tacos Don Felix is the best place in town for authentic, family Mexican dining. Street food is almost always the best way to truly get down and dirty with the culinary traditions of a new place, and Mexico is no different; Tacos Don Felix offers street food dishes in a charming and rustic restaurant environment. Check out the Taco Combo Plate if you’re having trouble settling on a dish, it includes seven different tacos! Regularly receiving excellent reviews from expats and locals alike, clearly Tacos Don Felix is doing something right. OK, so perhaps technically burritos shouldn’t be classed as traditional Mexican dining, given that they are more of a Tex-Mex invention, however Los Burritos is such an excellent, affordable restaurant, how could we not include them? Offering burritos and burgers, this family-run joint is a great place for a cheap and filling lunch, although our North American readers may be disappointed at the size of the burritos in comparison to their own supersized American fare. They also simplify the traditional Tex-Mex burrito; theirs come with just meat or veggies, cheese, and pico de gallo salsa. Simply excellent. Not exactly a restaurant, but a great example of quality Mexican food and drink, Rancho Vinícola Toyan is an organic food vendor and wine grower located just ten minutes outside of the center of San Miguel, which hosts a delicious breakfast buffet on Wednesdays. This gives you the excellent opportunity to taste some of their organically grown and wonderfully fresh produce. If you fancy buying some, they also run a daily market. Based on an ethical stance of respect for the environment, healthy living, and high quality produce, Vinícola Toyan is an alternative option to the sometimes unhealthy Mexican cuisine. Pozole is one of the most delicious and classic Mexican dishes you will ever try, and no one should leave the country without giving it a go. In San Miguel, the place to eat pozole is at La Alborada. Don’t expect an extensive menu; however, the items that are featured, such as enchiladas, flautas, and tostadas, make equally delightful choices if pozole just isn’t your cup of tea. They’re also well prepared and seasoned, giving you a true taste of Mexican authenticity. Add to this the central location of this quaint, family restaurant and you’re onto a winner. Serving a cuisine you’ll struggle to find as good out of San Miguel de Allende, El Pato Barbacoa y Mixiotes is all about the lamb. If you’re not a fan, give this place a miss. 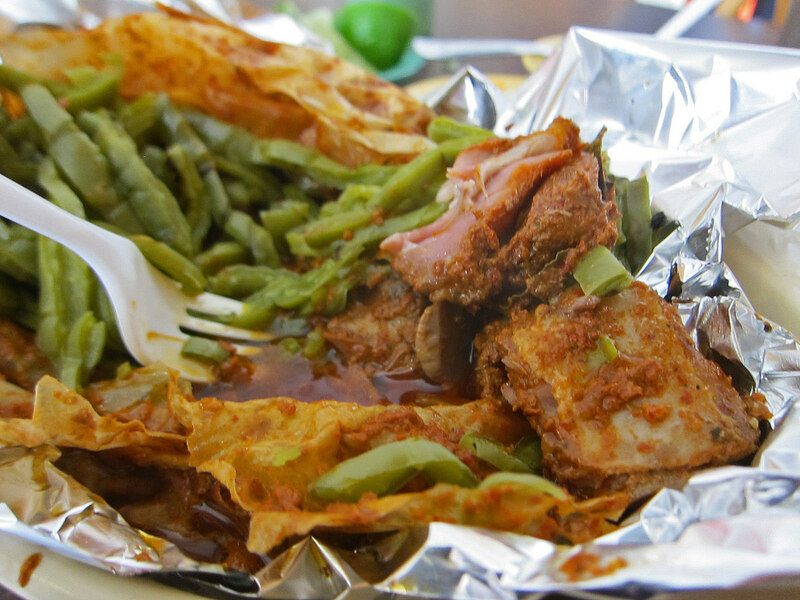 If you are, this unassuming street food stand will be your own personal heaven. The menu is limited, but everything served is top-quality and delicious: soups, handmade tortillas, barbacoa, and the eponymous lamb mixiotes (a pit-barbecued meat dish, well-seasoned and often served with cactus). It’s incredibly popular (especially on Sundays) with both locals and tourists, so make sure to head down early, before they sell out.